These days, a simple #HappyHolidays won’t cut it for a social media holiday campaign. With all of the noise online, it’s important to stand out with campaigns that are a little more creative. Here’s how five brands made an impact with large-scale holiday social media campaigns. And while your small business may have to think a bit more local, don’t be afraid to get festive and take advantage of the season. There’s no place like home for the holidays – except for when there is. In 2016, HotelTonight introduced a campaign that showcases the funny (and sometimes stressful) aspect of visiting family during the holiday season. 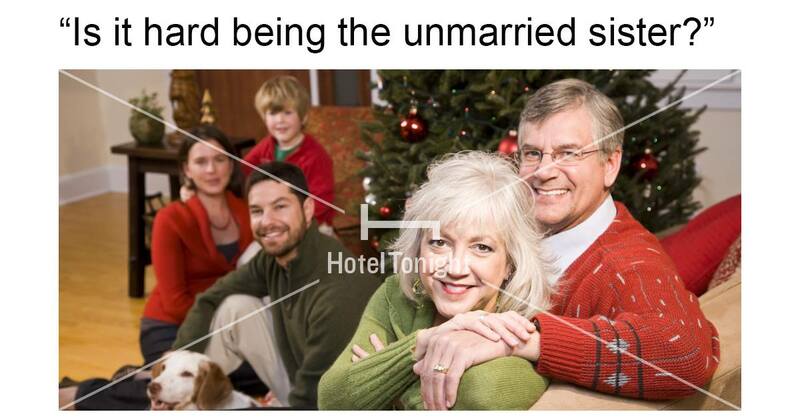 The company shared photos of humorous situations encountered with family members, and invited followers to share their greatest (and most cringe-worthy) family holiday stories on social channels like Facebook and Twitter with the hashtag #visitdontstay for HotelTonight credits. The campaign went viral and was commended by advertisers as a novel take on holiday marketing. Why it worked: Holiday visits are relatable for everyone – and HotelTonight provides an easy solution to enjoying yourself. Encouraging customers’ storytelling on social platforms drove engagement, while humorous images lightened the mood. The takeaway: Sometimes a little humor goes a long way. Starbucks is known for its red cups during the holiday season (it’s been doing it for 20 years now!). After it received some backlash a few years ago for not being so festive with its cups, it hosted a #redcupcontest on Instagram from 2014 to 2016. The brand encouraged customers to jazz up their cups and then share and tag photos of them for a chance to win prizes. A #redcupcontest photo was shared every 14 seconds on Instagram and garnered a total of 40,000 entries. This year it’s done something a little different with it’s #givegood campaign. The coffee chain created its first ever color-in holiday cup Starbucks and are encouraging people to decorate and tag the cups with the hashtag #givegood. Why it works: Effective user-generated content marketing is all about creating the opportunity for conversation and participation and Starbucks has done just that. Starbucks is also on to the fact that it’s not just the brand that can create great content and when you let them, they extend the reach of your brand exponentially. The takeaway: User-generated content can be incredibly powerful. In an effort to attract a younger consumer to its brand and prove that scotch whisky isn’t just an old man’s drink, Lagavulin Single Malt Scotch Whisky partnered with Parks and Recreation’s Nick Offerman to shoot a 45-minute reel of the actor sitting next to the traditional holiday Yule log while sipping a tumbler of Lagavulin in complete silence. The team secured an exclusive with Elite Daily, a popular news source for Gen Y-ers, to preview the video. Lagavulin also added a video teaser to its Facebook page to trigger shares and conversation. Within hours of launch, the video went viral and became a trending topic on Facebook. Within one week, the video has two million YouTube views and the channel had a 400-percent increase in subscribers. Why it worked: Offerman is the perfect influencer for the Lagavulin. His character on Parks and Recreation was often shown drinking the whisky and extolling its virtues, so the pairing felt incredibly authentic to both him and the brand. The fact that he was just shows sitting next to a fire, drinking the scotch – no muss and no fuss – again felt authentic to Offerman (or at least his Ron Swanson character) who is all about showing, not telling. The takeaway: If you’re going to use an influencer (whether he or she is a celebrity or not), be strategic in who you choose to work with. 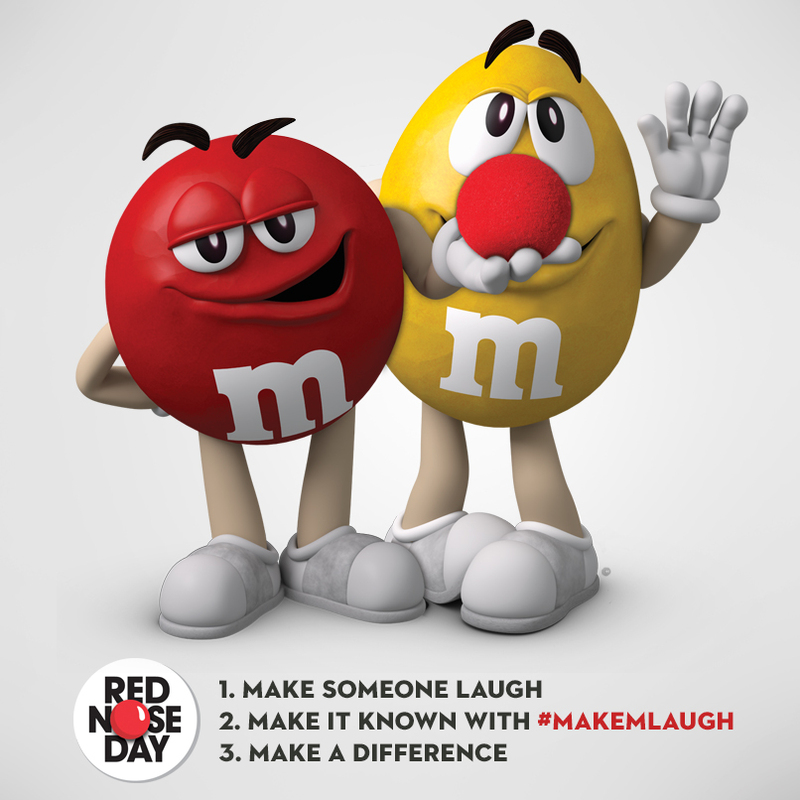 M&M’S rallied its enormous fan base to help make someone laugh for the Red Nose Day fund. Every time a consumer made someone laugh and then shared that story on social using the hashtag #MakeMLaugh, M&M’S donated a dollar to the fund. M&M’S was able to donate $1.25 million to the Red Nose Day fund (a campaign that raises money for children and young adults living in poverty). The campaign generated almost 270 million social media impressions and 2.9 million engagements on $MakeMLaugh content (this hashtag was used more than 78,000 times). Why it worked: This multifaceted campaign used celebrities, sponsorship, and major media outlets to help spread the word. Social media was king in this campaign, and M&M’S partnered with a wide swath of influencers. But a big part of the campaign’s success was the integration of user-generated content that allowed consumers to contribute to a good cause. The takeaway: Cause marketing can be fun, so get creative in the way that you give back. WestJet’s Christmas Miracle called on WestJet customers to perform and submit (via social channels) 12,000 mini miracles (aka acts of kindness) over a 24-hour period. From London to Hawaii, each mini miracle submitted with the #WestJetChristmas hashtag was tracked in real time and promoted on Facebook, Twitter, Periscope, and WestJet’s website. The results were 31,793 mini miracle submissions; 1.4 million organic Facebook impressions; and 3,456 Instagram photos using the #WestJetChristmas hashtag. Why it worked: The holidays are all about giving – and not just gifts. It’s the time of year where we’re all reminded to be kinder and better to each other. WestJet’s Christmas Miracle played on this traditional holiday feeling and then took it a step further by asking their community to put those feelings into action. The results were incredibly heartwarming. The takeaway: You can’t go wrong with a heartwarming campaign during the holidays. *Image credit: “#Visitdontstay” by Hoteltonight.